Hearing test | I'm hard of hearing, so what? 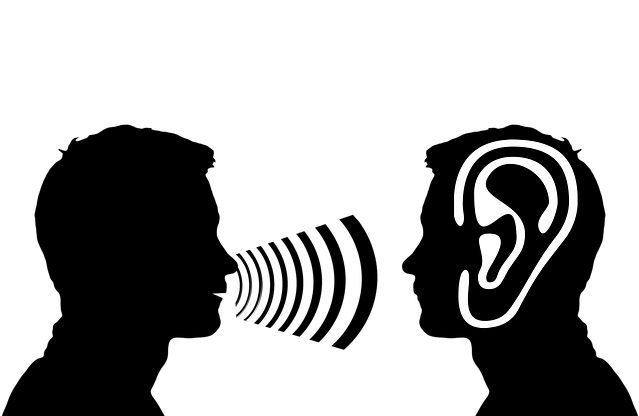 Hearing test – I'm hard of hearing, so what? I can still remember my earliest hearing tests: a robust lady in a glass cubicle behind the buttons and a very heavy headset (I was very young at the time). Everyone who has had a hearing test done knows how it goes. Put on a headset, and press a button whenever you hear the tone. Sometimes this was done with background noise, and sometimes without. Or I would repeat words in the hopes that what I said and what she said matched. These hearing tests I believe depend on the time of day. I am very certain that when I take the test in the morning, that I will do better than in the afternoon after 16:00. They are however still an indicator of how well you hear or not. It is possible that this test has gotten better over the years with new techniques and equipment, but optically, it has remained the same. It still consists of a glass cubicle, headset and button. Only the ladies (I’ve never met a male audiologist) who run the tests are friendlier. When My ENT Doctor first talked about a hearing aid, I thought; “Man, are you completely nuts?! The boys will no longer look at me…” I was only 17 years old, but of course was too polite to voice my thoughts, and only said that I didn’t need one. When I started my studies a year later, I realized that my ENT might have been right. My last hearing test at the ENT is now almost a year ago, and luckily, little has changed with my hearing. While programming the test program, my audiologist would mutter to herself, “no, for that you hear too little.” Umm… Probably not meant to hurt, but it still pains me. No one likes to hear that they hear too little for something.! Because I have very strong tinnitus (ringing in the ears), it is sometimes hard for me to distinguish between the programmed tone and the tinnitus. I can’t hear the higher frequencies anymore eitherway. The lower frequencies are the frequencies I hear best, so, that means the deeper voices of men. These days, I have a hearing test done every 3 years. I often notice my hearing loss last. That was how it was when my hearing crashed bak in 2007. I never really noticed that I had to ask, “what was that?’ more often, but the people around me noticed, especially my colleagues, and they told me I should have another hearing test done. It is important to get regular hearing checks, and particularly important to listen to the people around you. Oh, and I am now together with my husband for 14 years, and we will soon be happily married for 11 years. I need not have worried about the boys!